Given the stringent requirements involving product contamination from outgassing, FabLine wall systems are typically outfitted with varying types of aluminum or steel wall panels. Listed below are some of the more common options, but our design engineers will be happy to review options for your specific application. When applications require a lightweight, high strength composite panel, aluminum honeycomb panels are often the best solution. 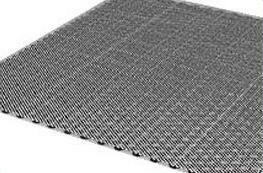 These panels are non-combustible and have high resistance to moisture, corrosion, and fungi. High strength architectural soffit panels are available in a variety of finishes, thicknesses, and densities with numerous panel edge options. 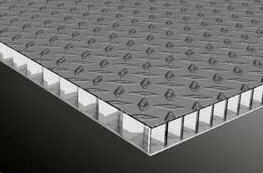 Perforated wall and ceiling panels can act as a means of straightening and directing air in free atmosphere and ducts. Perforations on both sides of a ceiling panel provide a flow thru design for both air and lighting. These structural aluminum panels feature a stainless steel treadplate face for applications requiring a walkable ceiling plank. They can be installed in the same basic manner as ceiling tile and are available in Kynar, epoxy, and anodized finishes on the opposite side. 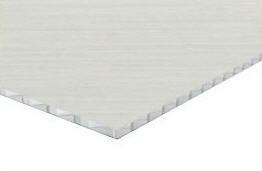 These aluminum panels are ideal for controlled environments and cleanrooms due to their non-particulating and non-outgassing nature along with their excellent resistance to chemicals. 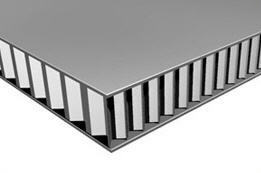 They are ideal for wall panels, ceiling panels and door infills. 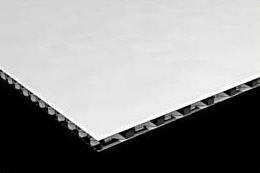 Featuring face and back sections made from 24-gauge PVC coated steel, these panels are ideal in applications where organic contamination is critical. 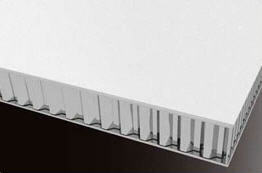 The PVC coating allows the panel seams to be chemically welded for a seamless, monolithic surface.